Going back around this time two years ago, I remember first listening to ANATHEMA’s ‘We’re Here Because We’re Here’ and finding myself surprised. It wasn’t that it was some great leap of quality that startled me- in fact, I had loved their previous album ‘A Natural Disaster’. Where ANATHEMA caught me off guard was the tone, or ‘mood’ of the music. 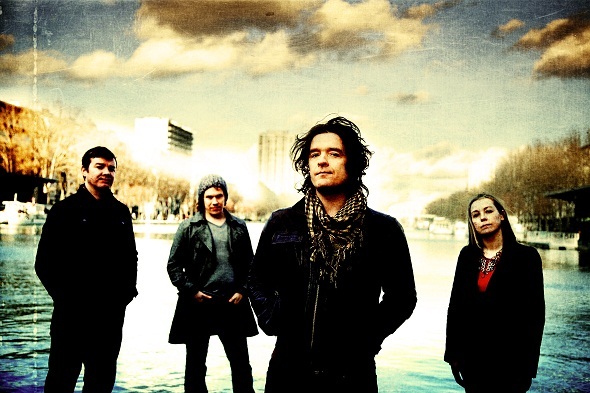 In the several year cooldown period between their seventh and eighth records, Anathema had inverted their trademark dreariness for something that sounded much more fresh than it admittedly should have; a sense of optimism. This more harmonious, hope-filled approach is continued on ‘Weather Systems’. Like all great sequels, this one builds upon the previous work’s strengths in every way, solving many of the last record’s problems as a result. In the end, ‘Weather Systems’ does not stand only as a successful maturation of the style cultivated on ‘We’re Here Because We’re Here’, but one of the brightest moments this band has ever experienced. Like ‘We’re Here Because We’re Here’, the resurrected ANATHEMA’s sound is accessible, but in more of an ambient, rather than a ‘pop’ sense. To elaborate on this, the music enjoys rich orchestrations and ambitious structure, yet ultimately demands little from the listener, save for an openness to emotional suggestion. In truth, by progressive rock standards, the compositions are straightforward, but complexity has never been an aim for ANATHEMA. ‘Weather Systems’ is an album that would be nothing without its melody and vast atmosphere, and both are supplied in overwhelming quality. Christer-André Cederberg gives ANATHEMA their greatest production job yet, correcting the somewhat treble-centric Steven Wilson mix of the last. The instrumentation benefits the most from the production quality, with many subtleties in the mix that won’t get noticed by the average earphone or computer speaker set. Although ANATHEMA have all but absolved themselves of their metal leanings at this point, the music is far from mellow, often with many things going on at once. 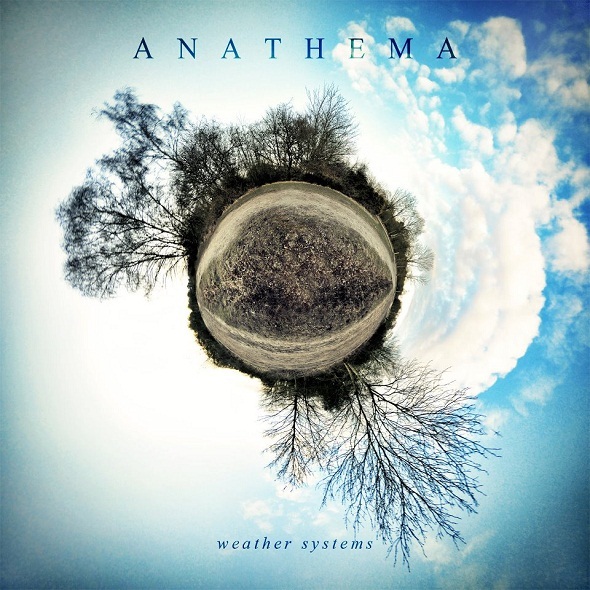 Somehow though, ANATHEMA never demand anything of the listener, and no matter how lush the string section or vocal harmonies get, ‘Weather Systems’ remains an album that instantly lets the listener fly. It takes barely a minute into the gorgeous first segment of ‘Untouchable’ to know what ‘Weather Systems’ is all about. The album takes no time to get going, quickly pulling in a listener with a slick acoustic fingerpicking idea, courtesy of guitarist Danny Cavanagh. Vincent Cavanagh’s vocals are soft at first, but as the rest of the band comes into play, a cinematic intensity is built until the point where it’s damned near impossible to resist the emotional power of it. Although the orchestration is at times mindboggling, the true highlight of ANATHEMA remains the beautiful vocal work and accompanying melodies. In a nearly hyperbolic contrast from the doom-n-gloom ‘Alternative 4′ and earlier, there is nary a dreary word sung by any of the band’s three vocalists. More than ever before, ANATHEMA focus in on harmonies in the vocals, and it works perfectly with the equally vast instrumentation. 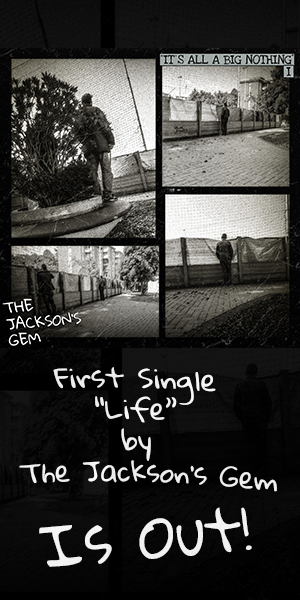 On a less positive note, the lyrics are not particularly engaging, generally falling upon credos of optimistic imagery and the recurring motif of nature, as reflected by the album’s title. For what it’s worth, the lyrics do work for the soaring sound of the band, and when they don’t, it’s not enough to detract from the rich atmosphere the rest of the music has created. ‘The Gathering of the Clouds’ continues where ‘Untouchable’ left off, without much of a noticeable gap between the two. Comparing natural imagery to a state of mind, ANATHEMA veer the album down a more melancholic route, all the while putting an even greater emphasis on vocal harmony and counterpoint. Within three minutes, ANATHEMA have worked enough orchestrations into the song that they could have fed a song twice its length. ‘Lightening Song’ plays on the momentum, but reins the intensity in a little, leaving it to Lee Douglas’ gorgeous voice to reclaim the feeling of serenity. Lodged in the middle of the album, ‘Sunlight’ is arguably the least memorable track on the album, keeping the mood and orchestrations consistent and enjoyable, yet failing to add any new surprises to the already-magnificent string of songs so far. Besides the five minute, ‘single-worthy’ tune ‘The Beginning And The End’, the second half of ‘Weather Systems’ is left up to longer-form compositions. Having found myself pretty damned disappointed by the so-called ‘epics’ on ‘We’re Here Because We’re Here’, I had my apprehensions when I got to this point in the album the first time around, and while ‘The Storm Before The Calm’ does not enjoy the same stirring melodies as those that came before, the atmosphere and sonic beauty are just as strong and beautiful. ‘The Storm Before The Calm’ does feel as if it could use a minute’s shortening, but in fairness, the piece may have been best cut in two, with the first track comprising the trance-like rhythm built up over the course of five minutes, and the second devoted to the refreshing return-to- form ANATHEMA use to wrap up the piece. ‘The Beginning and the End’ sees ‘Weather Systems’ following an increasingly dark path, with one of the band’s most memorable guitar ideas driving the song along. Although the song is surprisingly based around a single idea, it never feels tired, constantly building up in intensity until its climax. Finally, ‘Weather Systems’ arrives at my absolute favourite track off the album. Although at least one person I have talked to about the album has cited it as one of their least favourite tracks, ‘The Lost Child’ holds some of the most beautiful melodies I have ever heard. The piano plays softly and simply, and the introspective melancholy is reminiscent of the same dreary atmosphere Radiohead often evokes. The string section that has been so far lodged in the background is thrust to the forefront, and by the piece’s devastating zenith around the five minute mark, there’s little to do but sit in emotional shock and awe. Admittedly, the climax’s dramatic beauty is offset a bit by the vocals milking the repetition of the words ‘save me’ towards the end (when you listen, you’ll understand), but it’s an easy flaw to look past in light of the rest of ‘The Lost Child’s quivering beauty. ‘Internal Landscapes’ ends what I consider to be the album of the year thus far on a somewhat mixed note. Although the pleasant ambiance ultimately builds up into a song, it feels as if ‘Weather Systems’ may have been better with the same concise melodic brilliance that defined the early half of the album. Instead, the first few minutes plod softly along, with some spoken word sample concerning life-after-death and redemption playing overtop. Although the rock-centric meat of ‘Internal Landscapes’ offers ‘Weather Systems’ a just and powerful ending, the sparse moments of ‘Internal Landscapes’ where so little is happening is the only time I would daresay I feel bored when listening to the album. Normally, this less-than-climactic finale would rob an album of being called a masterpiece, and while ‘Weather Systems’ doesn’t see ANATHEMA quite reaching an inhuman perfection with their music, the significant proportion where the music does become inhumanly perfect is reason enough to give it the highest recommendation. Although ANATHEMA do not challenge the listener with this music, they excel at doing what music is most meant to do; evoke emotion. It’s easy to say that music is emotional, but when listening to an album can change someone’s mood so profoundly, it’s reason enough to call it something special.